Two lost theatres of the same name, same place, 2120 Del Paso Blvd. In this January 1935 photo, we see the first Del Paso Theatre, where legendary Sacramento showman Charlie Holtz managed his first theatre. It opened June 29, 1928 and burned to the ground on January 15, 1942. 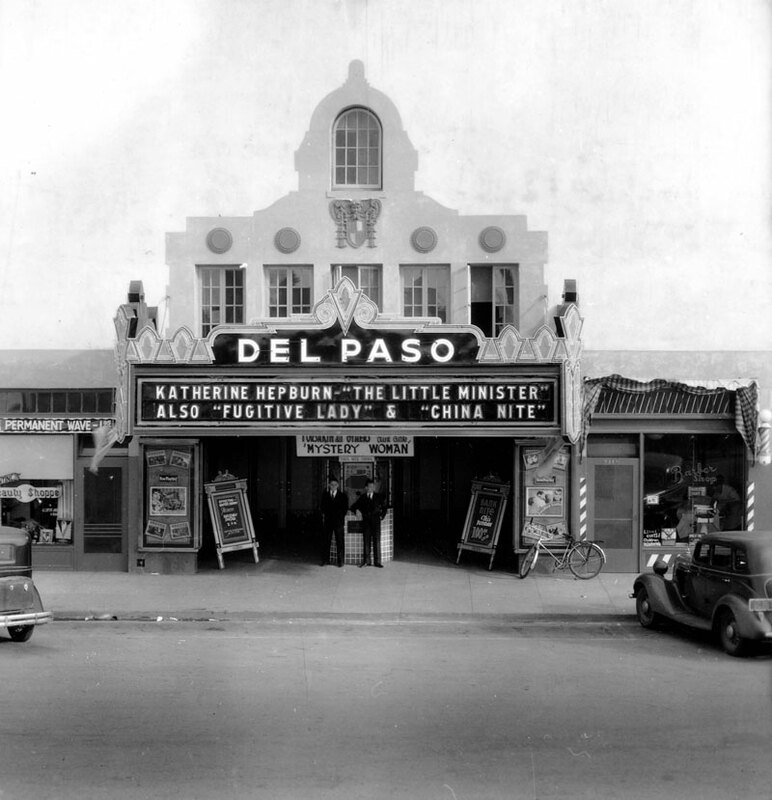 No theatres were constructed during WWII but on January 25, 1947, the new Del Paso Theatre rose like the phoenix from the ashes in a streamline modern style; closing eventually in 1972. Lightning struck twice when a 1990 fire gutted the auditorium. The theatre building was demolished in 1998, but the terrazzo sidewalk proclaims “Del Paso” to this very day.